1400 - 3000 sq. ft.
Current Inventory : Call me for the latest inventory! Description: A Sanibel Island favorite! 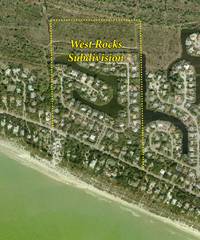 Located off West Gulf Drive, north of Rabbit Road, the Rocks communities have a mix of ground level and piling homes. 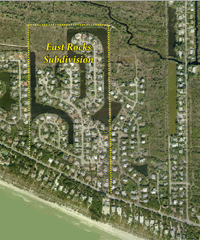 The access to the beach and quiet location on the island have made this a continuously popular neighborhood.